CORONA, Calif. (Jan. 31, 2019) – Yuneec International, a global leader in electric aviation, today announced that its commercial hexacopter, the H520, will now optionally be available with an RTK (Real Time Kinematic) system from the Swiss company Fixposition. Even under difficult GPS conditions, such as in cities or canyons, the RTK system ensures maximum precision and centimeter-precise positioning. The fully integrated RTK satellite navigation enables extremely accurate recurring images, faster 3D mapping and makes automated inspection flights easier and more precise. The new H520 RTK is perfectly suited for commercial applications that require maximum precision. By using RTK technology, the H520 can now fly much closer to objects for inspection as the UAV positions itself precisely in the centimeter range (1 cm + ppm horizontal / 1.5 cm + ppm vertical) rather than in the meter range, which is standard for the H520. This accuracy is paramount for applications where several images need to be taken at the same location on different days including: documenting progress on construction sites, inspecting mountain landscapes to prevent natural hazards such as rock falls or avalanches, and forensic accident scene reconstruction. In addition, the satellite navigation system makes it possible to significantly reduce image overlaps, which means fewer photos and shorter model calculation times, maximizing efficiency in workflows. The RTK system is not only fully integrated into the hardware, but also into the UAV’s software. This means the user retains the full range of functions of the award-winning DataPilot™ software at their disposal, including mission flights. The H520 RTK works with two components: the RTK module on board the H520 and a base station on the ground. For precise navigation, the module supports constellations of up to three different satellite systems from GPS, GLONASS, Galileo and BeiDou. If the use of a ground station is not possible, the system can also be operated with a national reference station network (network RTK). The network RTK is provided by third-party providers and requires an Internet connection, such as a mobile hotspot. All data including satellite data is recorded, which makes the H520 RTK ideal for Post Processed Kinematics (PPK). 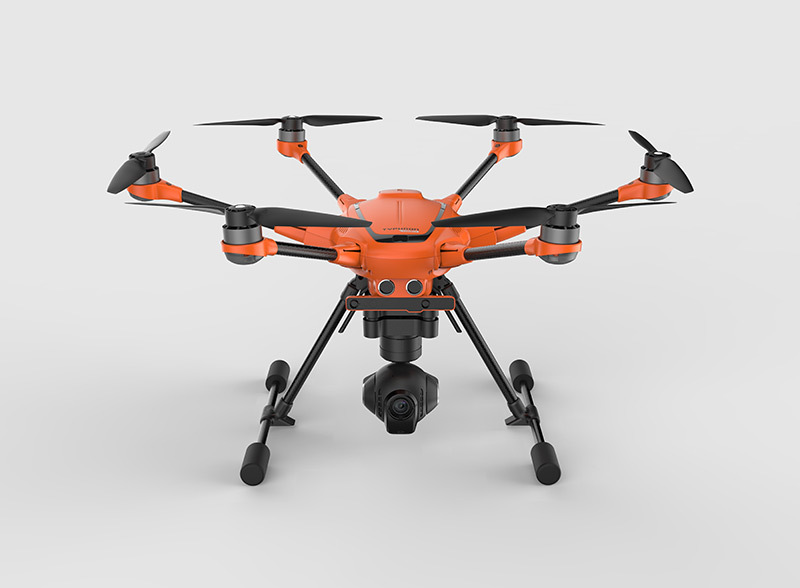 The H520 RTK will be available in the second quarter of 2019 in different configurations: as a complete system including the H520 airframe and RTK module, for $3199, and as an upgrade for existing H520 customers for $1699. The H520 RTK GPS ground station will be sold separately for $2399. The complete technical data of the Yuneec H520 with RTK system can be found at us.yuneec.com/h520-rtk. For more information, please visit us.yuneec.com. About Yuneec International Co. Ltd. Founded in 1999, Yuneec is a global leader in electric aviation. Its passion for innovation is deeply rooted in the company and is reflected in hundreds of patents. The core technologies of Yuneec include manned aircraft, remote controlled model aircraft and drones for commercial and private use. Yuneec has branches in North America, Europe and Asia, producing over one million products a year for a broad customer base. From the Typhoon series for the enthusiast to the H520 platform for commercial applications, Yuneec continues to innovate, making aerial photography and data collection attainable for every pilot, regardless of previous flight experience. ONTARIO, CA (January 5, 2017) — Yuneec International, a world leader in electric aviation, today announced the expansion of its commercial UAV offerings with the unveiling of the H520, an advanced six-rotor drone for commercial applications. The H520 builds off Yuneec’s proven six-rotor platform and incorporates industry-first commercial-grade cameras and applications for high-end commercial use. The H520 offers longer flight time, greater payload, modular design and enhanced components while staying true to Yuneec’s standard of excellence in aviation precision and safety. 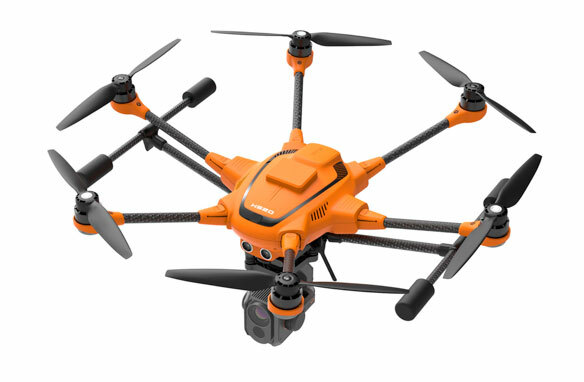 The H520, engineered for optimal use in industrial and commercial environments, features high visibility Hazard Orange fuselage and a six-rotor design capable of emergency flight with only five rotors. 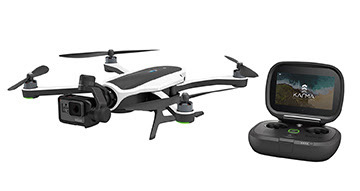 A 360-degree, 3-axis gimbal coupled with retractable landing gear provides an unobstructed view from any angle. The camera and gimbal are capable of a 20 degree up-angle for upward-looking inspections. Yuneec will offer three camera options that include the CGO-ET dual thermal RGB camera, CGO-CI seven-element inspection-ready camera and CGO-3+. The CGO-ET is specifically designed for law enforcement, Search & Rescue and solar inspections applications and is the industry’s first thermal and residual light combination. Targeting the broadcast, cinema, and vertical inspection markets, the CGO-CI’s longer FOV and edge-to-edge distortion-free lens captures sharp, high-contrast imaging, which meets the needs of filmmakers and broadcast producers as it is the industry’s first long-focal lens camera. Additional upgrades to the H520 camera options include a panoramic shooting function along with burst, time-lapse and metering modes. Challenging angles and locations are more accessible with the safety backup of Intel RealSense Technology, a feature found on the H520, which enables the aircraft to intelligently navigate around objects, taking safety and flying options to the next level. Coupled with the industry’s only user-variable speed control, pilots can confidently approach critical structures without concern of impact. Yuneec will launch a software developer kit (SDK) platform in Q2 of 2017. The SDK platform allows third-parties to develop value-added applications and services on the H520 platform for a variety of industries and commercial markets. The H520 maintains Yuneec’s focus on safety with features such as Geo-fencing, Variable Speed Control, Dynamic Return Home and Low-Battery Return Home. The H520 will be available Q2 of 2017 and will be offered in a variety of configurations with prices ranging from $2499 to $4499For more information visit www.yuneec.com. KARMA is here (and compact enough to go anywhere in a small backpack), along with an all-new lineup of HERO5 cameras- the HERO5 Black and HERO5 Session-to make it easier than ever to find the right camera for you. We also rolled out a complete end-to-end storytelling solution and cloud-based subscription service, GoPro Plus , which allows you to auto-upload content to the cloud making it easier to access, edit and share your favorite GoPro moments.